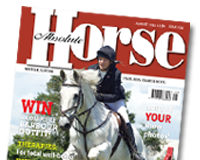 Parasite control is very much a seasonal game, targeting the right worms at the right time of year to guard against the threat to horse health that comes with infection. Generally warm wet weather increases parasite activity while extremes of temperature and dry conditions help to stop them in their tracks. With that in mind we might think that the long hot summer we enjoyed in the UK would play to our favour and benefit our worming too. Surprisingly Westgate Labs have seen quite the opposite with higher than average worm counts being recorded throughout August and September. See full article in our October edition….